As timely as today’s financial headlines, Bill Moyers puts his analytical skills to understanding the role the banking industry played in the collapse of the American economy with award-winning guest, William K. Black. The financial scandal that brought the American economy to its knees in 2008 is the topic of this hard driving Bill Moyers Journal that probes the role high finance played in the collapse, and the benefits they accrued because of the taxpayer-backed bailout. His guest, noted economist, William K. Black, points a damning finger at the moral decay of the financial sector that puts high bonuses and astronomic profits ahead of the greater good of the nation. As the Congress debates watering down crucial legislation aimed at curbing the worst excesses of the financial sector, this DVD documentary is as timely today as when broadcast in the aftermath of the financial collapse of the Great Recession in 2008. 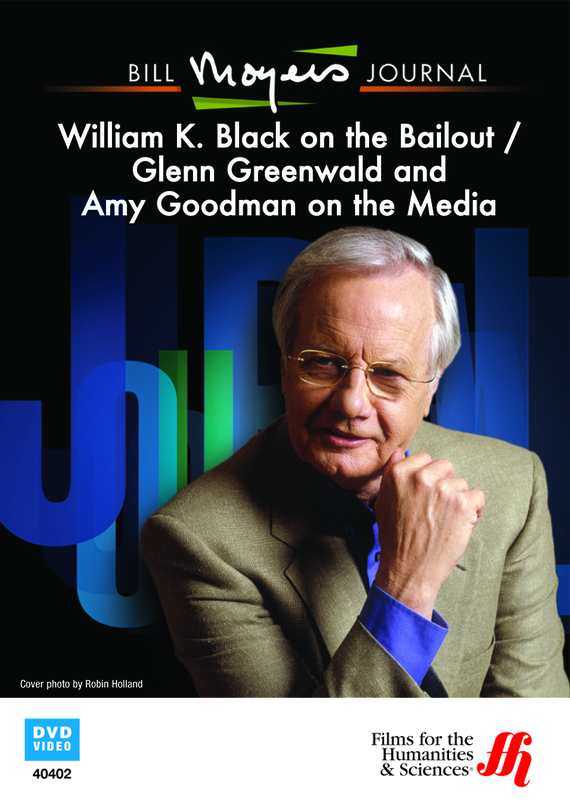 Moyers also discusses the role of the media as it attempts to inform the public and the limits of corporate-dominated mainstream media with Glenn Greenwald and Amy Goodman. These Izzy-awarded alternative journalists discuss the pros and cons of a corporate dominated media environment in the reporting of corporate malfeasance.